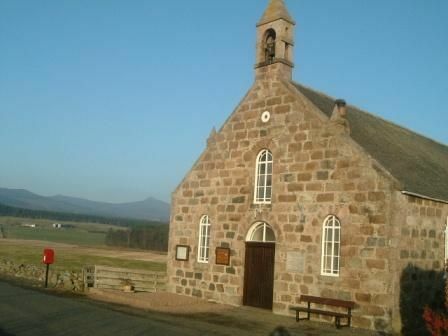 Travelling from Kemnay to Blairdaff, the Church is on the right hand side of the road as you pass through Blairdaff. The limited parking for the Church is on the main road through Blairdaff. Other than for worship or for meetings, weddings or funerals, Blairdaff Church is not normally open. Blairdaff Church was originally built in 1850 as the Free Church and became the Parish Church in 1934. The church is a homely, well maintained granite building which has seating for 200 people. The building houses a vestry, kitchen facilities, and a toilet with disabled access. Blairdaff and Chapel of Garioch Churches united on the 24th April 2007. Further information on premises available from The Session Clerk (01464 851466) or the church website.